The retired actress left the spotlight to live a simple life near the beach and she posted a powerful message about her stretch marks, freckles, and her changing body. Iza has been very vocal about her weight loss journey, and she often answers body shamers in the most dignified way. “Oo naman! Proud to be old and 53. No shame in that. I see my hands everyday and I know it shows my age. Should it matter? Why should growing old be thrown as an insult to women? And FYI, I filmed this with no filter and I’m not even wearing foundation so your idea of ‘too much make up’ is pretty inaccurate. 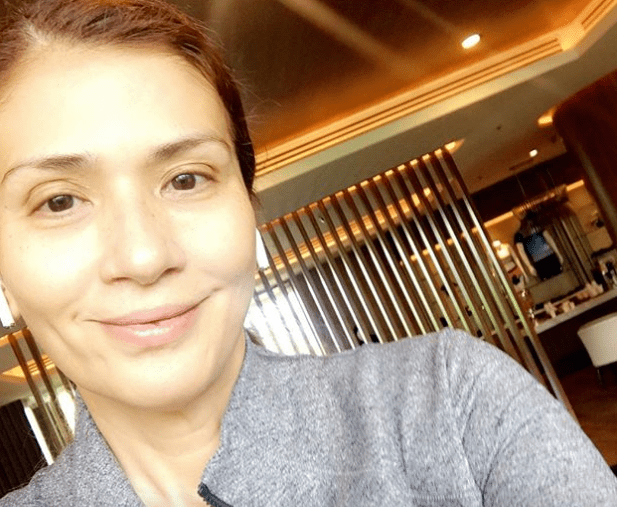 As for Belo treatments, it helps but we never claim to have discovered the fountain of youth. “My husband posted a preggy photo of mine ‘cause he was happy and he can’t contain his excitement for the arrival of our prince @freedomprats. Little did he know that he would receive such rude, negative, and uncalled-for comments about my pregnancy. Hence, he turned-off the commenting section. I’m not sick or whatsoever. I’m still within my normal weight range, and as much as I want to work out, my OB doesn’t allow me for numerous reasons. Yes, I do have a BIG tummy (you may find the size ‘abnormal,’ but this is how my tummy looks even during my first pregnancy), however, there’s no need for you to be concerned.